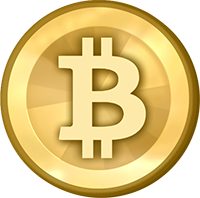 Bitcoin was developed in 2009 by Satoshi Nakamoto, an unknown entity. In October 2008, Nakamoto published a white paper on the cryptography mailing list describing the bitcoin digital currency. It was titled “Bitcoin: A Peer-to-Peer Electronic Cash System” and released the first bitcoin software that launched the network and the first units of the bitcoin cryptocurrency, called bitcoins. Satoshi Nakamoto released the Version 0.1 of bitcoin software on Sourceforge on 9 January 2009. Bitcoin is the first ever decentralized cryptocurrency that was ever created. Its main purpose was to remove the power from the worldwide banks and hand it over to the people and worldwide payment system free of political barriers. It facilitates peer-to-peer transactions between users directly, without an intermediary. These transactions are verified by network nodes through the use of cryptography (complex codes) and recorded in a public distributed ledger called a blockchain. Bitcoin is actually the first experimental application on the Blockchain. Bitcoin is considered a precious digital resource, for the 21st century internet era just like gold is from the past. The reason why Gold could be used in the good old days as a global currency was because of its multiple uses. No matter the race or tribe or country everyone had a need for and use for Gold. In fact all currencies were based on the Gold standard only till 1971 which meant the amount of coinage or paper currency of a particular country available was equal to the value of Gold stored in its repositories. The finite nature of Gold increased its value. The same is for Bitcoin. Bitcoin is therefore often referred to as Gold 2.0 or Digital Gold. The developer of the blockchain technology and Bitcoin, Satoshi Nakamoto, has been so meticulous in the writing of the code that he has been able to resolve the counterfeiting & double-spending problem for digital currency. Procurement of Bitcoin can be done by either mining or purchasing pre-mined bitcoins off someone who currently owns them. Mining is done through specific ASIC computers. In lay man’s terms these computers try various permutations and combinations of the block hash in order to win a set numbers of bitcoins. The number of bitcoins per block was initially 50 but the code has been written in such a way that the number of bitcoins per block will reduce at specified time intervals. Global Markets: InstaCrypto.in / Poloniex / Bittrex / BleuTrade / Yobit / Coinigi / Bittylicious / SouthXchange / LiteBit / Shapeshift / Local Bitcoins etc.